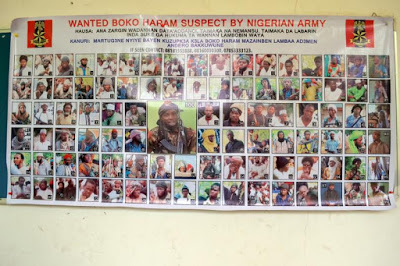 Remember this Wanted poster of Boko Haram members from last year ? Agents of the Government of Nigeria took news photographs, newsreels and captured video footage of the members of this sanctioned terrorist organization, and employed facial recognition software to identify the individuals, using social media resources*. This was a textbook lesson in the utility of facial recognition software, in the field of counter-terrorism. We all know tbat many law enforcement agencies extensively use facial recognition software to identify suspects, witnesses, and sometimes even victims of crimes, but what about if we take it a step further, into uncharted territory. Could facial recognition software identify not only money launderers and financial criminals, but actually place them in dodgy jurisdictions and circumstances as well ? For example, I know that suspect A is a well-known money launderer for Asian organized crime groups, but what if I was to place him in Basseterre, the capital of St. Kitts, outside the offices of an attorney who that very day formed a number of shell companies later linked to the Suspect ? Or, what if I had information regarding Suspect B, a Russian national involved in a massive ponzi scheme, and what if I had an image of him entering a Venezuelan-controlled offshore bank linked to him, in Roseau, the capital of Dominica ? And what was in all those obviously heavy suitcases his assistants were lugging in the door ? Or, Supect C, a Chinese national, known to be a fugitive from justice at home for corruption, but convenientlyt holding a CBI passport, is identified making a large real estate investment in Antigua, and is seen leaving a real estate office with his sellers ? All these scenarios are possible, due to the explosion of CCTV installation in the Caribbean this decade. Although ostensibly placed for the purposes of suppressing the increase in violent crime in these countries, it is also a window upon Opposition activities, protests and other threats to the parties in power. An unexpected additional benefit to the proliferation of CCTV cameras is the possibility that the footage, if made available to Western law enforcement agencies , would greatly increase the changes of conducting successful money laundering investigations. Suspects' actual itineraries in dodgy tax havens could be constructed from CCTV footage, that documented their appearance in the jurisdiction, visits to financial service providers, or local banks, as well as the identification of known associates and professionals who may themselves also be charged. The addition of this Caribbean CCTV footage into facial recognition software platforms would greatly assist prosecutors who happened to be users of the platform, using these products seeking to prove money laundering charges, as the footage would prove suspects travel into a specific tax haven, or offshore financial center, on specific dates, confirm via images many of the locations he visited, and who accompanied him in these operations. The question remains, however, how will international law enforcement agencies arrange to receive feeds of the Caribbean CCTV footage ?